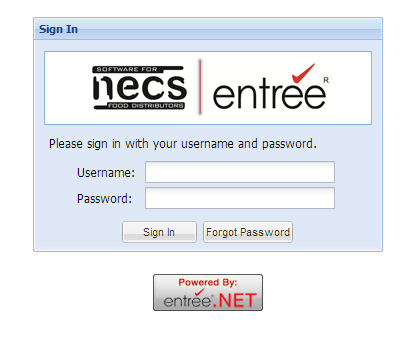 When your customers or DSRs want to begin using entrée.NET, they will be prompted to sign in with their Username and Password. When a customer signs in, the system will know all the details about their account, including their pricing formulas, what specials and promotions they qualify for, their sales history, etc. When a DSR signs in, entrée.NET will know all the details about their assigned customers, commission formulas, etc. When viewing the Catalog, your customers and DSRs will have access to your entrée inventory data file, with the ability to group by item "Class" or "Brand Name" with advanced search capabilities. 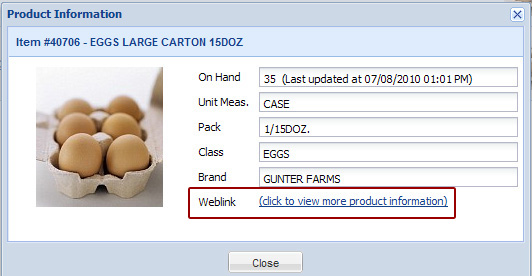 An extensive amount of information can be displayed or disabled for your Catalog, including Pricing (will display customer specific pricing), Product Image, Brand Name, Unit of Measure, Pack Size, UPC Number, Item Constant or Average Weight, Minimum Sell Price, On Hand Quantity, comprehensive item notes and more. 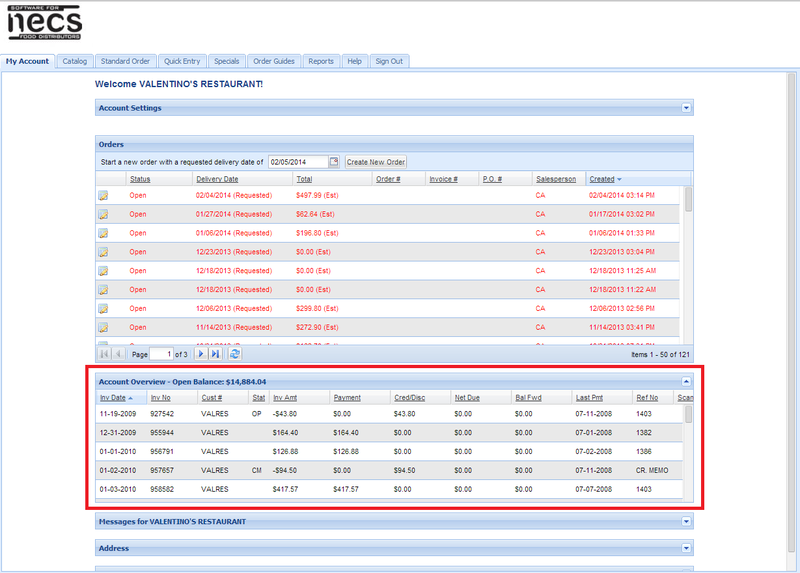 A user can select to view their Account Overview, which provides information related to their accounts receivable status. They will be able to view open invoices and payment dates and will have access to information including invoice dates, invoice numbers, invoice status, invoice amounts, payments, credits, last payment dates and check numbers. They can also select to view and print a copy of their delivery invoice with their signature, when using our entrée.DOC scanning system. 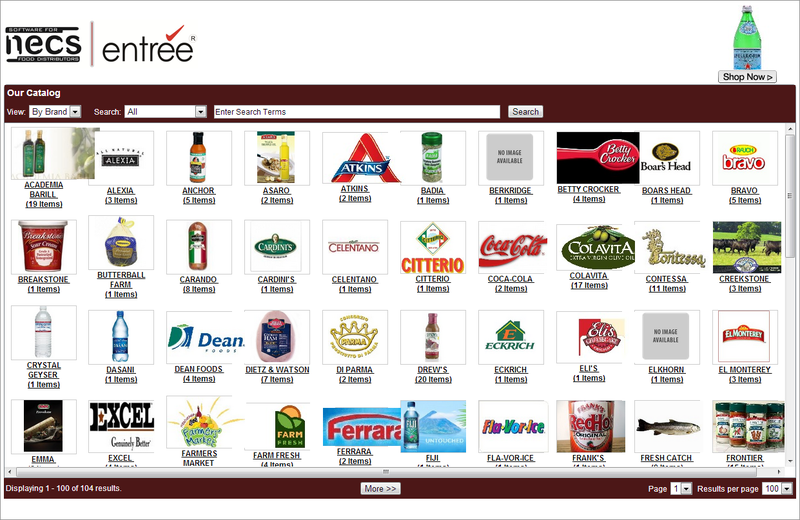 Food distributors using the entrée.DOC (document scanning) software option, will show a paper clip icon in the Account Overview section which indicates that a scanned image of the invoice document is available for viewing. Clicking the paper clip icon will display the scanned invoice on the screen. 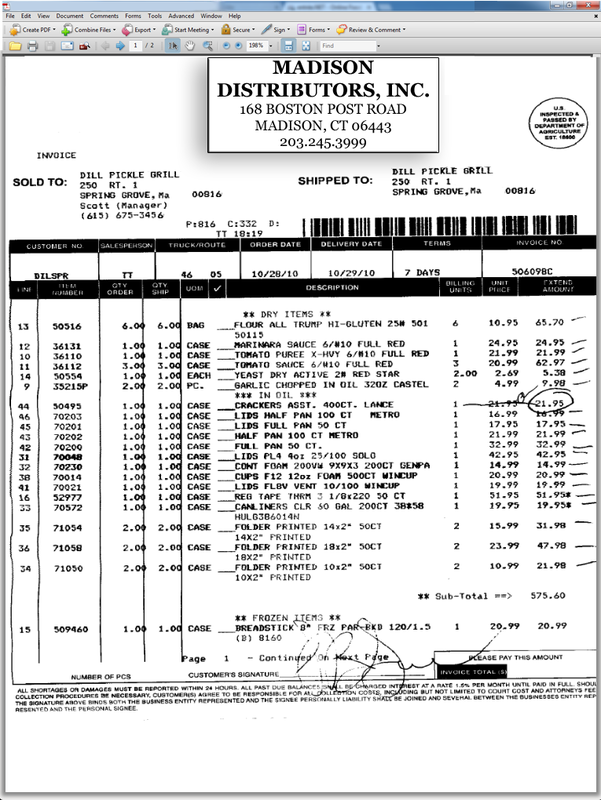 The scanned invoice will display as a PDF document, and can be saved, printed or emailed. A "Scanned Invoices" report is also provided to bulk view, print or email scanned invoices by date range and delivery location. The "Language Translator" option will allow your users entering orders online via entrée.NET, to view your item descriptions, class names and item notes, in another language besides English. 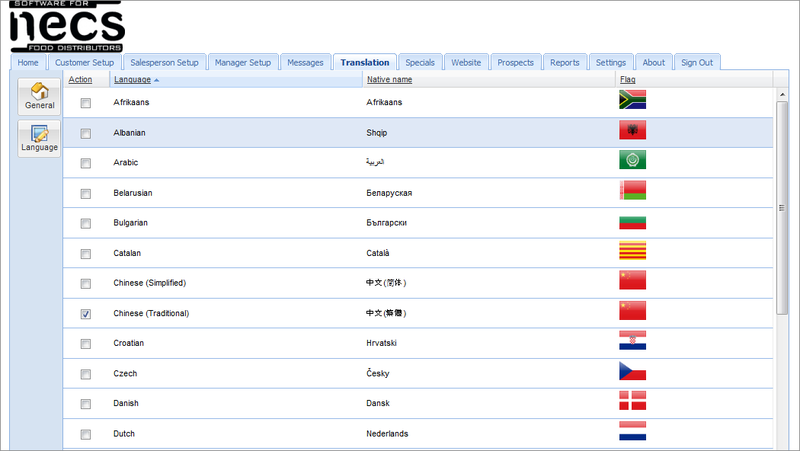 They can also choose to have reports translated into the language of their choice. Over 60 of the world's most popular languages are supported (including Spanish, Italian, Russian, Simplified Chinese and Traditional Chinese, to name a few). Your user can easily change the language via a selection at the top right corner of their screen when this feature is enabled.